"Croon psych" is the term Hamilton's Young Rival coined while working on their latest release, and it's an apt one for describing their music. Interior Light is a record with arrangements that blends subtle psych into their '60s pop songwriting, yet remains fresh. It's quirky, melody-driven and catchy as hell, and while it's not as fast-paced as Stay Young or as heavy as Young Rival, it still hits the spot nicely. Frontman Aron D'Alesio hams it up on vocals, with harmonies that will bring to mind the Everly Brothers. There's undeniable charm to his lyricism and vocal delivery: on "Living Like You Should," his ghostly whoops follow the line "There were spirits hanging at the back of the cave," he coos delightful "ooh la la yeahs" on the woozy "Throw It In The River" and sings the chorus of "Scruples," an album highlight with an intriguing back story, in an awfully fun way. Bassist John Smith's playing is deservedly highlighted on many tracks, most notably his neat bass riffs on the title track and the wonderfully chaotic "Where's It All Going." Interior Light is a fairly even mix of softer, sway-to-this selections — the waltzy "Bent Out of Shape" and bouncy "That's Chemistry" — and big tunes, like opener "Carry That Weight," which starts with a manic build up before melting into a gnarly bass run. There are hints of their older sounds on "Let's Get Together," which has that twangy Stay Young guitar tone, and the supercharged "Elevator," which wouldn't be out of place on Young Rival, but despite that, Interior Light puts a different side of the band on display. 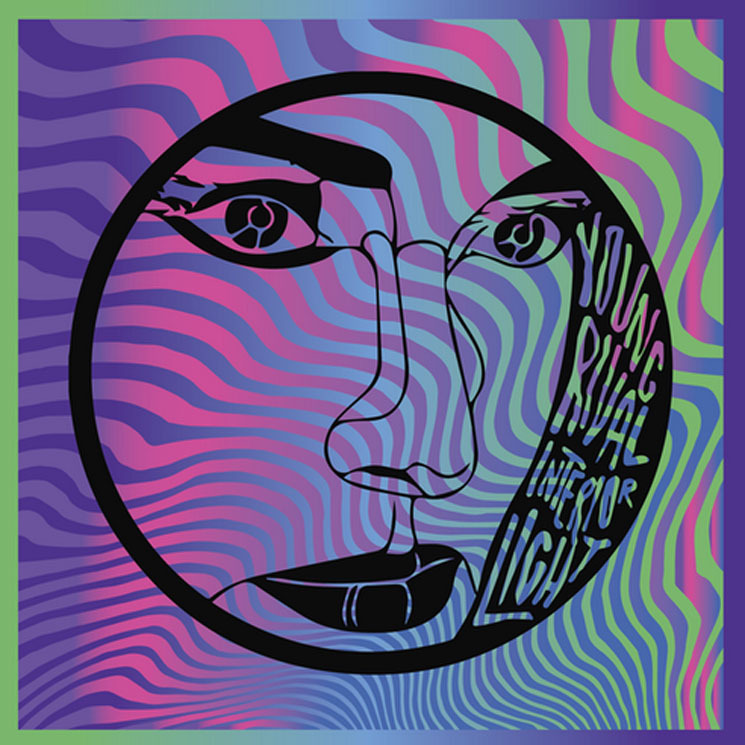 Young Rival are still energetic here, but they're less focused on classic song structure, instead leaving plenty of room for indulging in experiments that pay off.